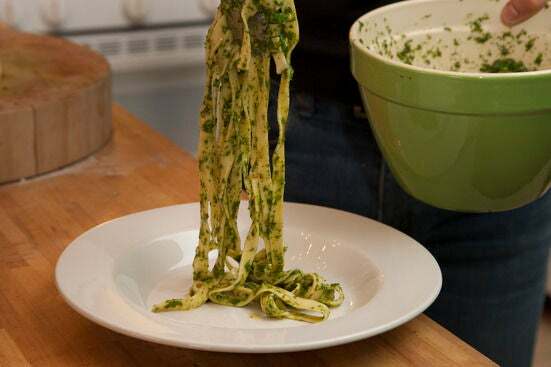 Fresh Pasta with Arugula Pesto, Fingerling Potatoes Fill 1 Created with Sketch. The word pesto comes from the Italian word “pestare” which means to crush or pound, since pesto is traditionally made in a mortar and pestle. 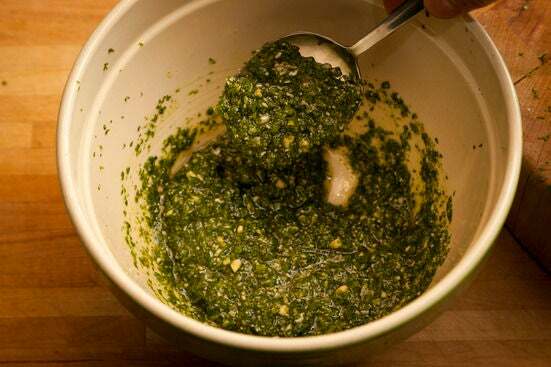 Here the pesto is made with arugula instead of the usual basil in this take on a dish called “Trenette al Pesto” from Italy’s northwest region of Liguria. Heat a large pot of salted water to boiling on high. Slice the potatoes horizontally into discs. Trim the green beans and cut them into 1-inch pieces. Peel and finely chop the garlic, then, using the side of a knife, mash it into a paste. 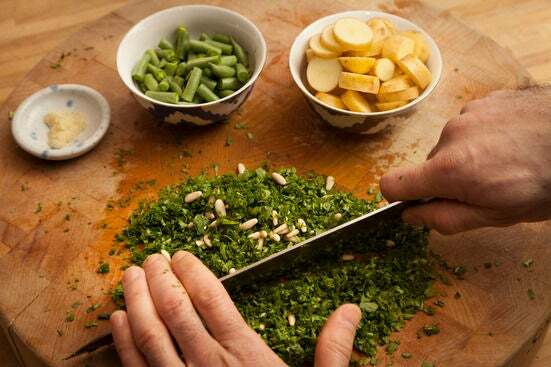 Very finely chop the arugula with the pine nuts. 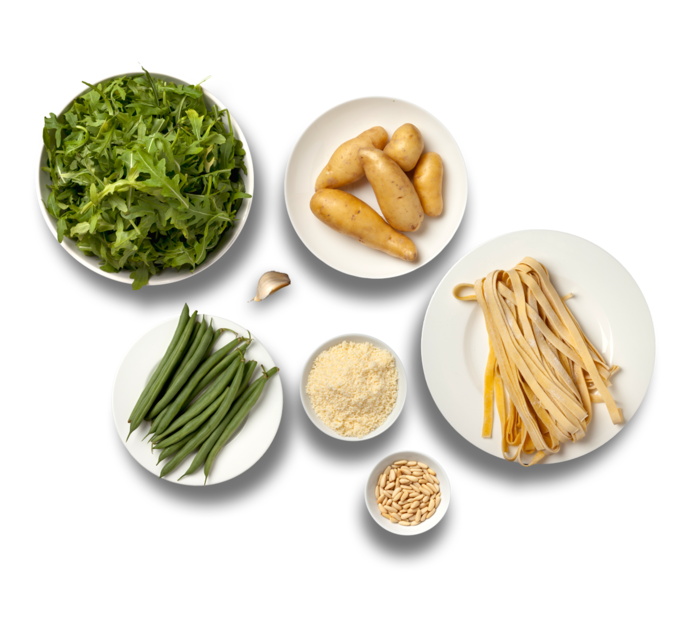 While the water comes to a boil, in a large bowl, combine the arugula and pine nut mixture, the garlic paste, and the Parmesan cheese. Drizzle in olive oil and whisk until it resembles a loose paste. Season with salt and pepper to taste. 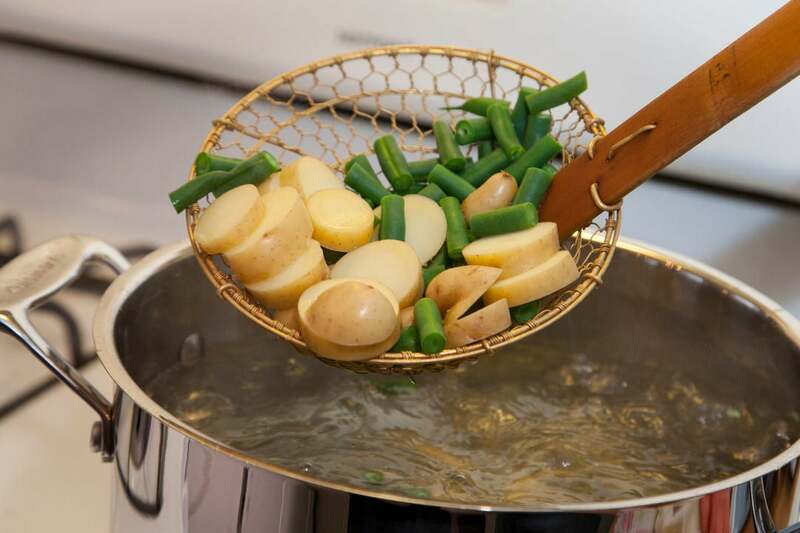 When the water comes to a boil, add the potatoes to the pot. Boil for 3 minutes, then add the green beans and boil 3 minutes longer, or until both vegetables are tender when pierced with a fork. 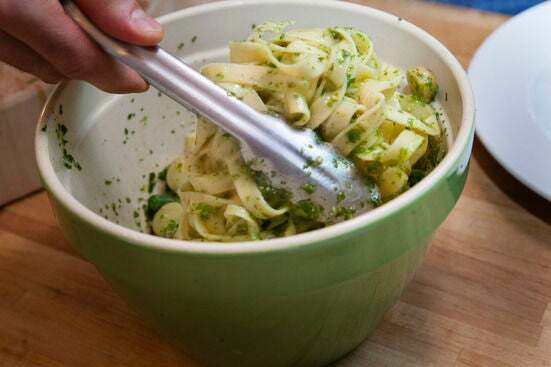 With a slotted spoon, transfer them to the bowl with the pesto. Add the pasta to the same pot of boiling water. 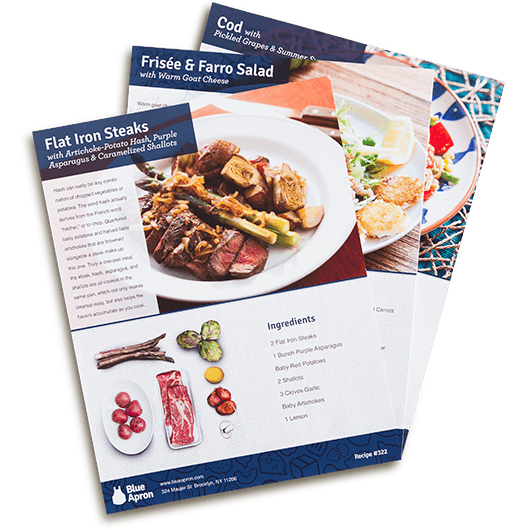 Cook 2 minutes or until al dente. 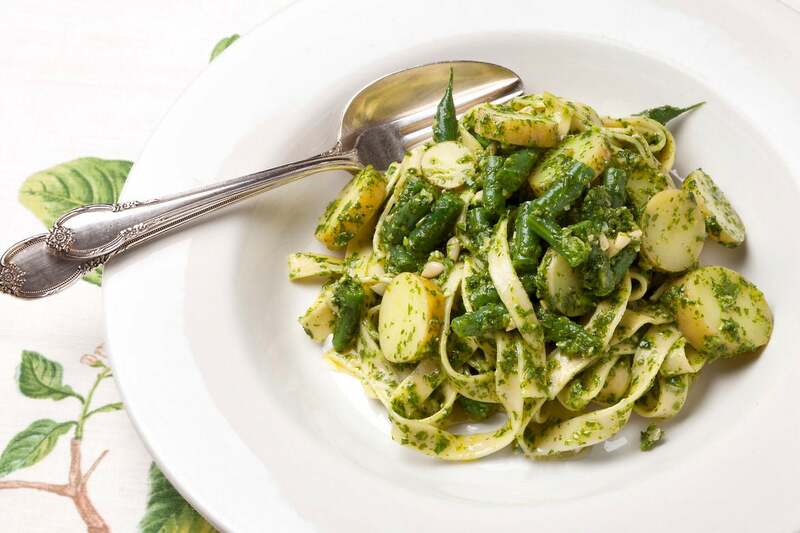 Drain the pasta, then add it to the bowl with the green beans, potatoes, and pesto. 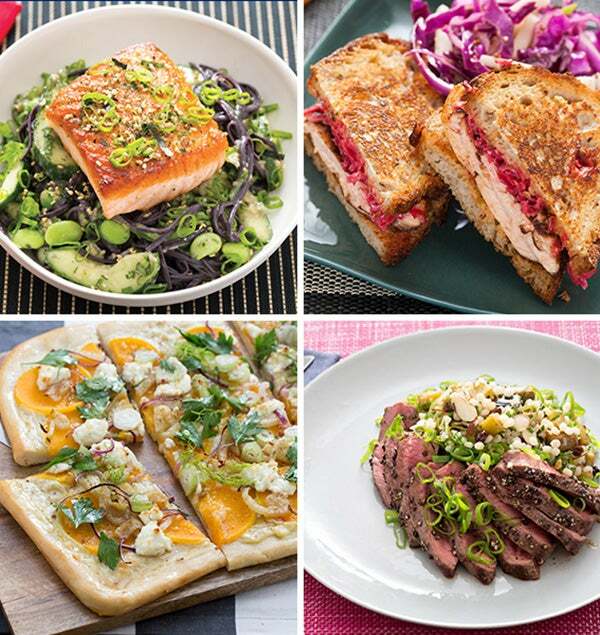 Toss everything together until well coated with the pesto. Divide the pasta with potatoes and green beans between two plates. Buon appetito!